Calgary, Alta. 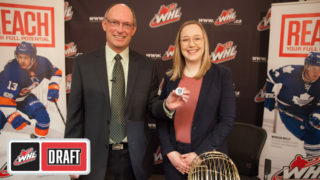 – The Western Hockey League announced today a total of 382 WHL graduate players have been awarded WHL Scholarships for the fall and winter semesters of the 2017-18 academic year. The 382 WHL Scholarships awarded represent the highest fall and winter total in WHL history, improving upon the mark of 374 set during the 2016-17 academic season. This weekend, 68 WHL Alumni will compete for U SPORTS supremacy at the 2018 David Johnston University Cup in Fredericton, N.B. 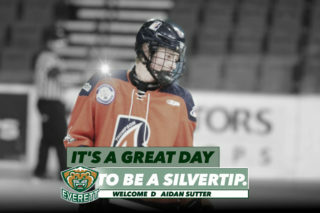 The WHL is represented with graduate players on seven of the eight team rosters competing in the tournament. All tournament games, including the bronze medal game, will air on USPORTS.LIVE. Semifinal action will be broadcast on Sportsnet 360 (12 p.m. AT & 4 p.m. AT). The action closes on Sunday, March 18 with the gold medal final, live on Sportsnet 360 (2 p.m. AT). For more information on the 2018 U SPORTS David Johnston University Cup, please visit UniversityCup.ca. 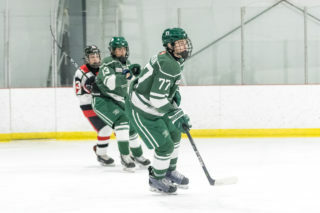 This year, 183 of the 382 WHL Scholarship recipients are furthering their education while playing Canadian University hockey at the U SPORTS level. In Western Canada, 133 of these student-athletes are playing in Canada West (CW), and have in many cases combined their WHL Scholarship with additional financial assistance from their university in Western Canada to receive the Western Canada Premier Hockey Scholarship. Representing Canada West at the 2018 David Johnston University Cup are the Canada West Champion University of Alberta Golden Bears and University of Saskatchewan Huskies. The University of Saskatchewan (Saskatoon, Sask.) 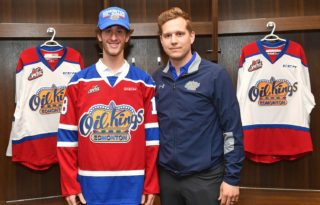 leads all post-secondary institutions with 38 WHL graduates enrolled in full-time studies, while 34 former WHL players are registered at the University of Alberta (Edmonton, Alta.). The University of British Columbia (31), University of Lethbridge (25), University of Calgary (24), University of Manitoba (19), University of Regina (19) and Mount Royal University (17) also lead the way in WHL graduate enrollment. WHL Scholarship recipients are enrolled this year as full-time students at 78 different post-secondary institutions through North America. Hockey Alberta leads all Western Canada branches, having produced 162 WHL graduates currently accessing their WHL Scholarship. 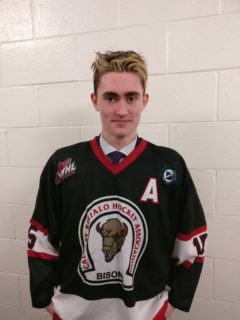 BC Hockey (83), the Saskatchewan Hockey Association (75) and Hockey Manitoba (34) are also leaders, with Hockey North (Northwest Territories and Nunavut) and Hockey Yukon combining to produce two WHL Scholarship recipients. 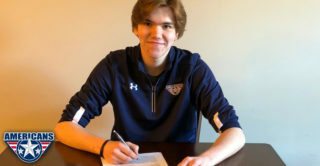 A total of 26 players from USA Hockey are also accessing their WHL Scholarship. Among the 2017-18 WHL Scholarship recipients, 59 WHL graduates are enrolled at universities in Eastern Canada, with 50 playing U SPORTS hockey at the Ontario University Athletics or Atlantic University Sport level. In total, 66 WHL graduates are enrolled at a Canadian College, other post-secondary institution, or in a trades or technical training institution, with 30 WHL graduates playing hockey in the Alberta Colleges Athletic Conference (ACAC) or the BC Intercollegiate Hockey League (BCIHL). Additionally, 15 WHL graduates are attending post-second institutions in the United States.